Andy Warhol, Jean-Paul Gaultier… and now Lionel Ladoire. All supreme masters of reinvention who dared to challenge tradition, smash taboos and shatter the status quo. Warhol managed to turn every art genre on its head. Gaultier ripped up the rule-book of fashion to create a whole new sartorial philosophy. Ladoire has deconstructed classical watchmaking and recast it in an audacious new light. Ladoire’s Underground Creations takes this spirit of reinvention to yet another level by creating extremely limited, exclusive series in addition to offering clients bespoke editions of their timepieces. For example, the RGT Punk Rock – exclusive black and white editions of the RGT – gives a decided nod, or headbang, to the underground scene, while the revisited bridges, strap and dial of RGT Blue are in a resplendently cool shade of azure. 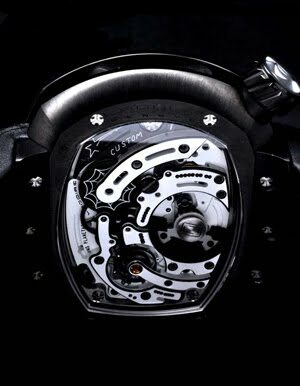 And Couture Diamonds – with 501 scintillating diamonds – gives the RGT a dazzling new twist. 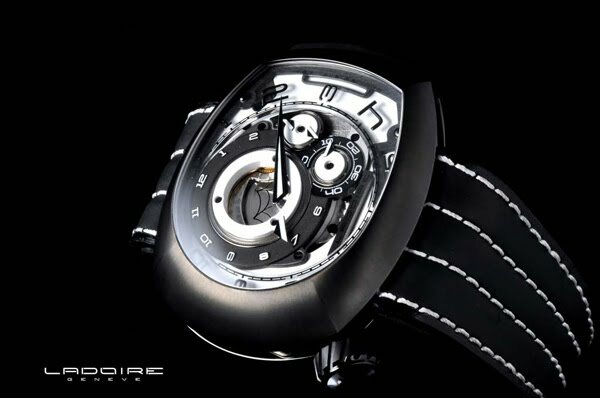 Calibre with automatic winding-mechanism, manufactured «Calvet/01/RGT» 26 jewels, on plate: 9h 3h > 39.50mm / 12h 6h > 29.50mm, thickness 9.30mm.